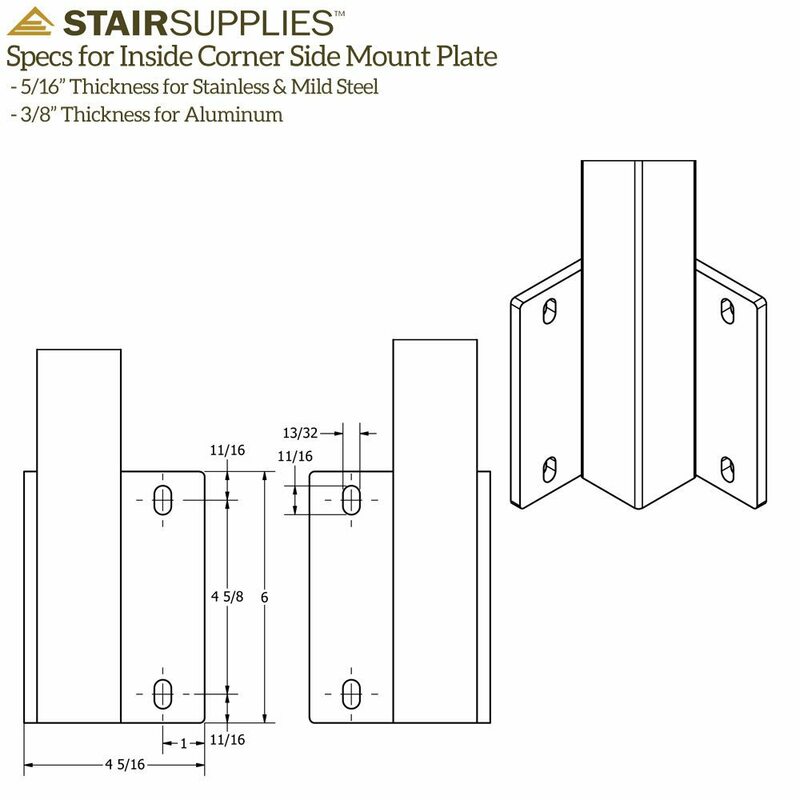 The above products are recommended for installation or mounting of the Side Mount Flat Top Square 2" Cable Railing Post. 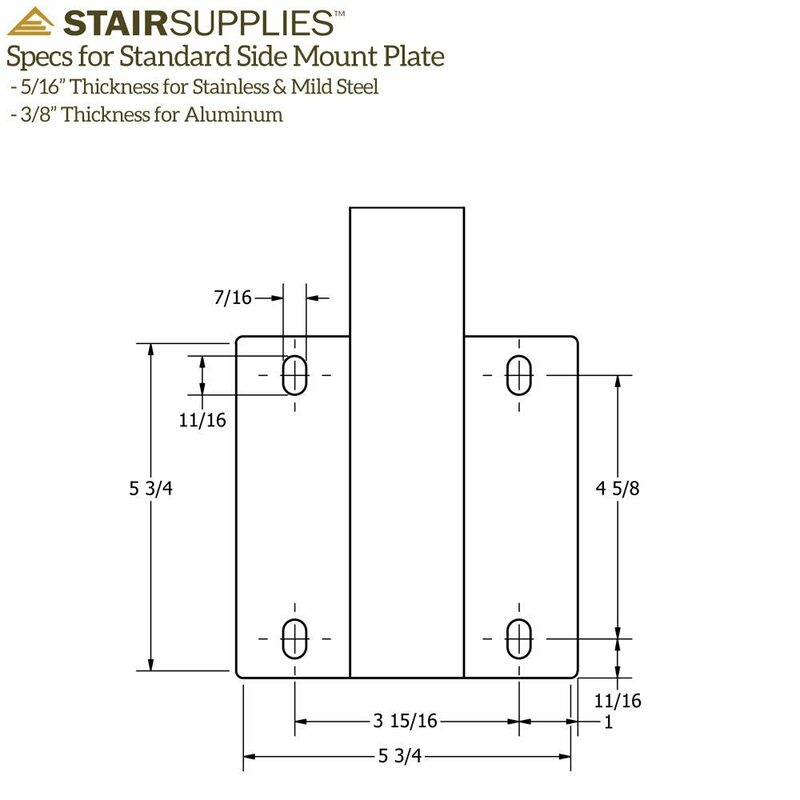 Side Mount Flat Top 2″ Square Posts provide the foundation for a cable railing system. Side Mount posts are fascia mounted to preserve the maximum space on your deck, balcony. Flat top posts only work on level runs, if you have a stair section select Universal Top posts. I’m can’t figure out if I need a F post LH or RH; I don’t know which side the hole is on. Can you explain? The LH and RH refers to the direction the cable needs to travel when the post is mounted. If you take a look at the post diagrams in the product overview, the F post pictured is an F post RH. 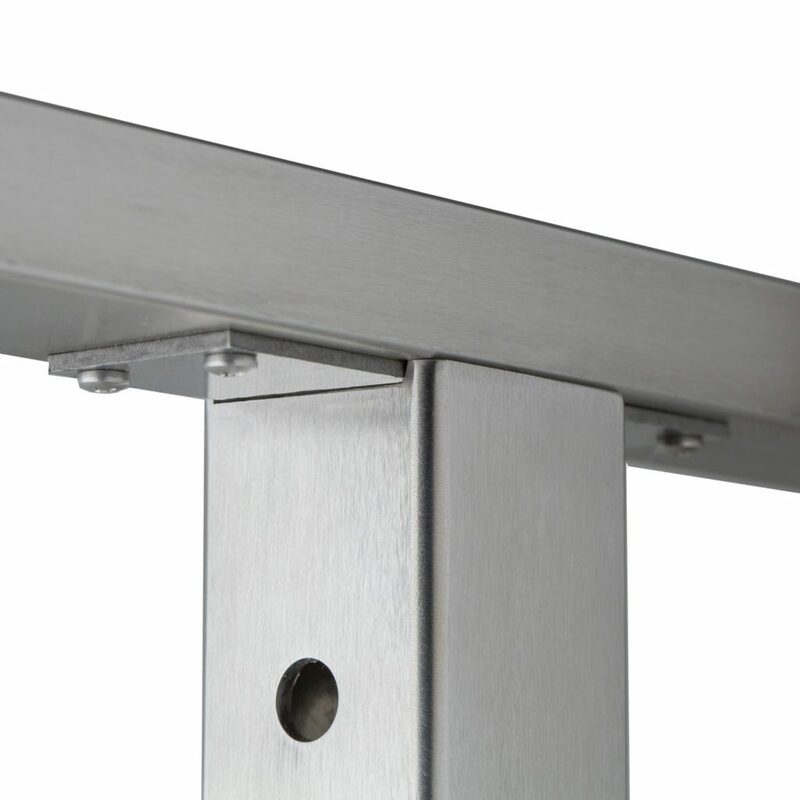 The 304 stainless steel posts have 1/8″ thick walls. Let us know if there’s anything else we can help you with! Good question! The outside corner C post will use level tension kits and a keymount kit to tension the cable. The side of the post with the keymount is reflected in the name of the post. So if you’re standing inside of your house looking out at the deck and the keymount side of your post is going left, it’s a left hand, and if it’s going right, it’s a right hand. The one pictured in the outside corner post diagram is a left hand. This is identifiable because unlike the level tension kit, the keymount kit is not visible on both sides of the post. So standing inside the house and looking out at the deck, you would see that the keymount side of the post is traveling to the left. Please let us know if you have any further questions. trying to figure out how to install an outside corner post fascia mount (C post). the install instructions say you need either 2 (2×8) if using bolts or 3 (2×8) if using lag screws. however the bolts and screws will hit each other before going all the way in. 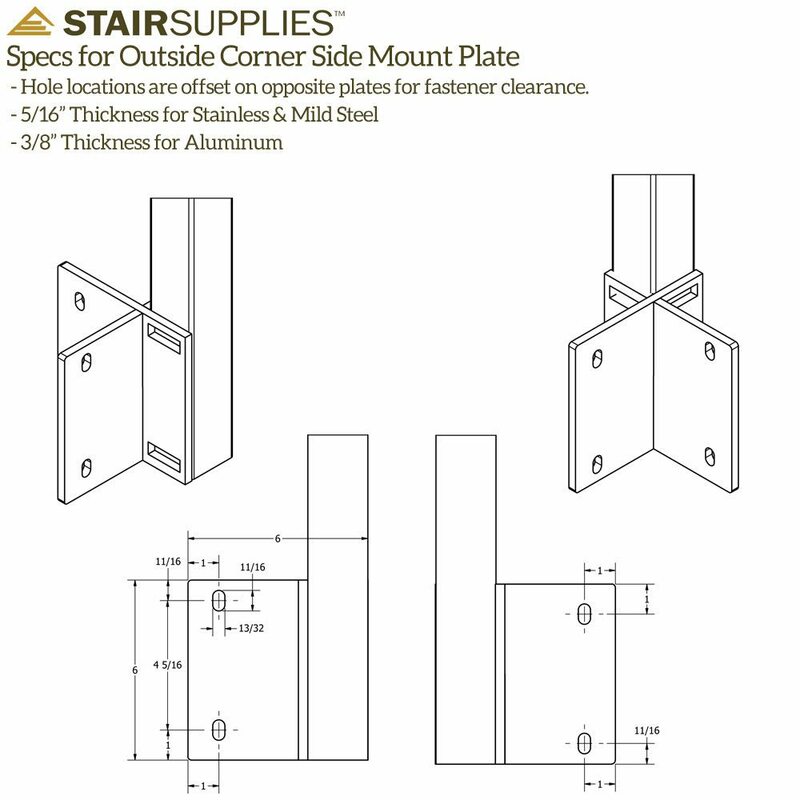 what is the proper way to install a C corner fascia mount. in further review, the C post does seem to have the holes slightly shifted so bolts won’t hit each other, but doesn’t leave much room to adjust post. however, the space between the mounting hole slots are the post is around 2 and 1/2 inches, whereas 2 (2×8) are approx. 3 inches. I don’t see a way to put the washer and nut on the bolt. should lag screws be used with C post fascia mount? We’re sorry you’re having difficulty with your installation. 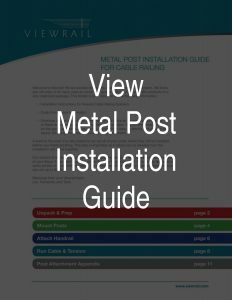 If you’re following the recommendations in our Metal Post Installation Guide, but still finding difficulty, we recommend you give our support staff a call to walk you through any and all challenges. You can reach our team at 1 (866) 226-6536. 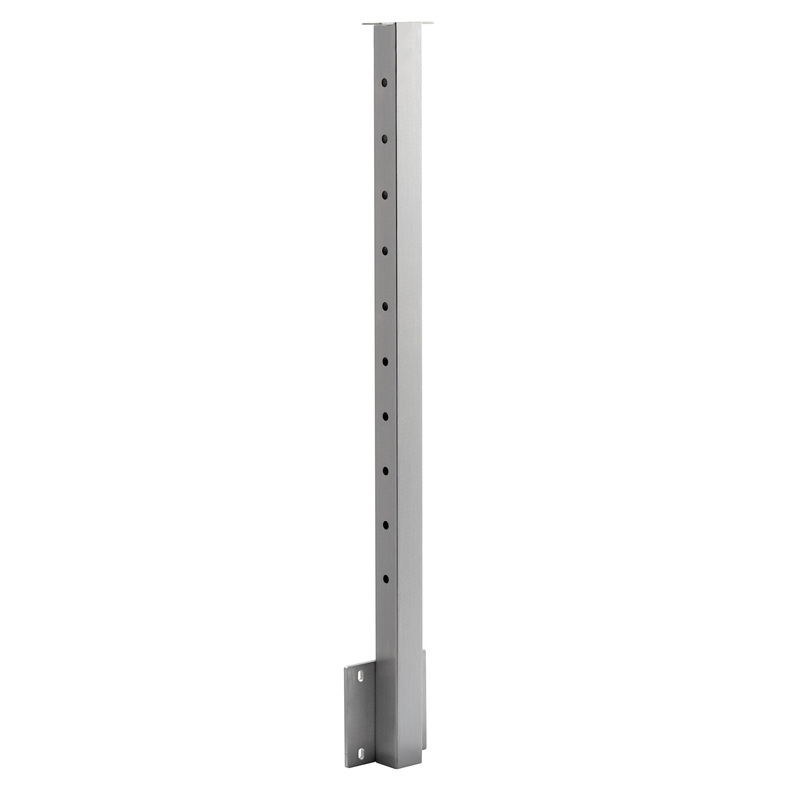 What is the distance between the bottom of A post – level holes, side mount, and lowest hole for rod? The bottom hole on a Side Mount Flat Top 2″ Rod Railing Post would be 3-9/16″ on center from the height of your finished floor. If you have additional questions, give our team a call at 1 (866) 226-6536. That answer is correct, but that 10-13/16″ reflects the distance from the bottom of the mounting plate, not the distance from your flooring to the first hole in your post.